A sociotechnical system (STS) creates a framework that allows an examination of how social and technical factors affect organizational outcomes within a specific environmental context. STS has been rigorously studied with a primary research focus addressing worker-technology interactions. Although these interactions are important, the social processes and interactions that occur whenever any technical or environmental change is introduced into the system have been undervalued. If social processes are better understood, mining organizations could efficiently prepare and stabilize for such changes. With this goal in mind, we sought to extend STS theory through applying principles of meta-design to analyze the results of two case study interventions. 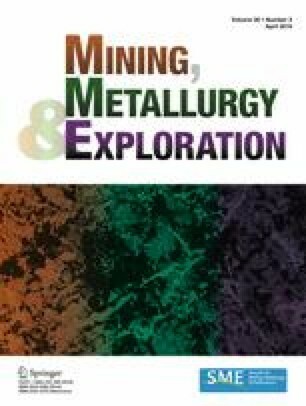 Specifically, we studied the impact of an unregulated dust control technology (the Helmet-CAM) and a regulated dust control technology (the Continuous Personal Dust Monitor) on factors within an STS including employees’ knowledge of, communication about, and use of technology to mitigate respirable dust sources. The results are presented in a way that first, addresses the overarching principles of meta-design STS including organizational participation, flexibility, and communication and second, examines how technology implementation processes differ when the organization is complying with a formal, higher-level requirement. Results show that a prominent focus on the social factors within an STS framework could help reduce unpredictability on the technical side and may improve communication within the system to help reduce adoption time, especially if and when accompanying a new, formal work process. The findings and conclusions in this report are those of the author(s) and do not necessarily represent the official position of the National Institute for Occupational Safety and Health, Centers for Disease Control and Prevention.